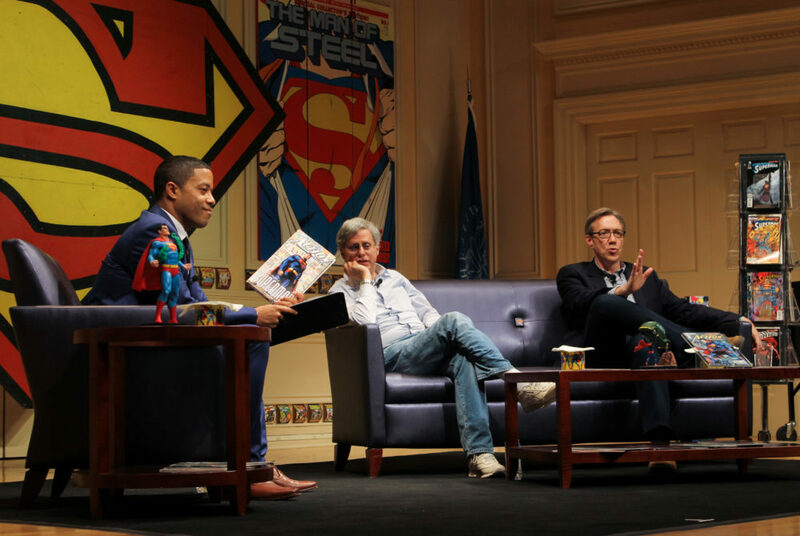 David Betancourt, a Washington Post reporter, discusses the history of Superman with Paul Levitz and Dan Jurgens to celebrate the 80th anniversary of Superman. It’s a bird, it’s a plane. No, it’s the celebration of the thousandth issue of DC Comics’ first series, Action Comics, and the 80th anniversary of America’s iconic superhero – Superman. The celebration featured a panel with two people integral to Superman’s legacy, Paul Levitz, the former publisher and president of DC Comics, and Dan Jurgens, the writer and artist most famous for the comic book series “The Death of Superman.” The panel, held at the Library of Congress Thursday, was moderated by Washington Post reporter David Betancourt and coincides with Awesome Con, which will be hosted at the Walter E. Washington Convention Center this weekend. The event took place in the Coolidge Auditorium, which featured displays of Action Comics ranging from the 1940s to the mid-1970s. The Library of Congress has one of the largest collections of comic books in the world. The stage featured various types of Superman memorabilia such as old posters, collectibles and covers of past Action Comics. Levitz said it was a rarity that an entertainment franchise like Superman still sustains itself in American popular culture. 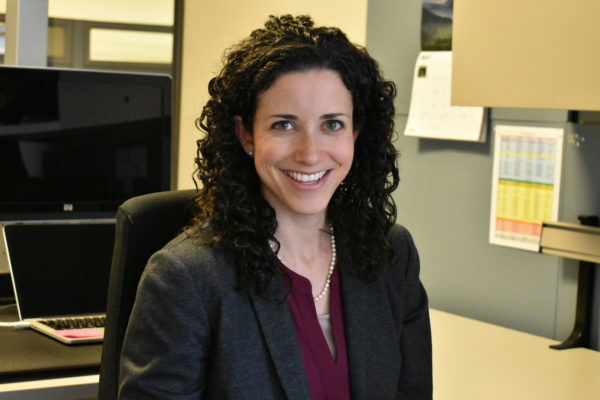 “There is very little that is culturally relevant in 1938 that is still culturally relevant today,” Levitz said. Superman made his first appearance in the 1938 comic book series Action Comics, the series that introduced Superman. Levitz said people often find a connection to Clark Kent despite his near invincibility and incredible strength. “The strongest part of Superman has always been the emotional part, and sort of his representation as an iconic moral figure,” Levitz said. One of the most notable changes in the thousandth issue is the return of Superman’s red trunks – which were removed in the 2011 reboot of the DC Comics lineup – called the New 52. Jurgens said there were multiple design iterations, including how Superman wore the outfit. They also discussed latest storyline additions to the Action Comic series, which included Clark Kent’s marriage to Lois Lane and the subsequent birth of their son, Jon Kent. Jurgens said the series allowed for new facets of the superhero’s identity. After the interview, Jurgens took part in a question and answer session with the audience. Most of the questions came from avid fans who wanted to hear the speakers’ take on topics like the relationship between Superman and Batman or how certain supervillains like Doomsday, the first villain to stop Superman, were originally created.